David is a senior manager at Abu Dhabi Global Market, the international financial free zone in Abu Dhabi. David works in the Banking and Insurance division and is responsible for assessing applications for authorization. 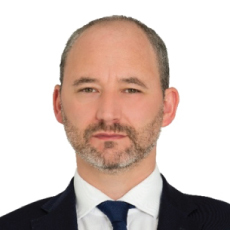 David is also responsible for leading or supporting a wide range of initiatives, including the ADGM insurance strategy, developing the FSRA’s risk-based regulatory approach, and implementing ADGM’s Sustainable Finance Strategy Pillar Four initiative to create a Sustainable Finance Hub and Ecosystem.